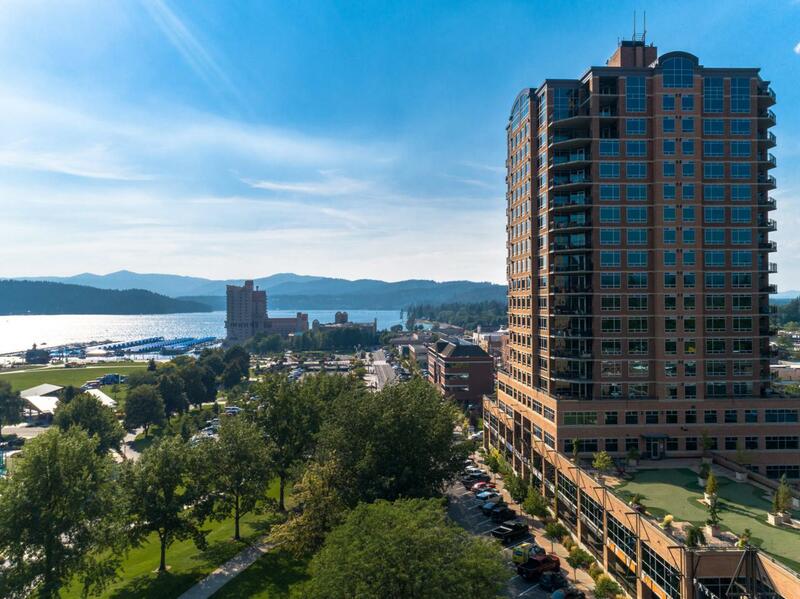 PARKSIDE defines Luxury Condo Living in Coeur d' Alene. This NE Corner Unit has an expansive 180 degree view of the City, Spokane Mountain & Canfield Mountain and North . A very popular floorplan One Level, beautiful 2 bedroom, 2 bathrooms. Spacious open-floor plan, perfect for entertaining, Luxurious living with Chef's Kitchen. Plus, a Large Outdoor Covered Patio; Private 2-Car garage. Parkside Amenities include a Building Concierge,Fitness Center, Rooftop Patio Golf Putting Course! Parkside is a PET-FRIENDLY environment! Own the BEST! See Showing Restrictions in Remarks. Agents please use Showing Time to Request Appointment.